Are you in need of a refresher course to prepare you for the upcoming real estate broker’s exam? March 27 is fast approaching, and you feel like you still don’t have the “feel” of it? Would you like to find out how past real estate brokers’ examinations have been done? Or simply test yourself if you’ve studied enough, through a mock examination? 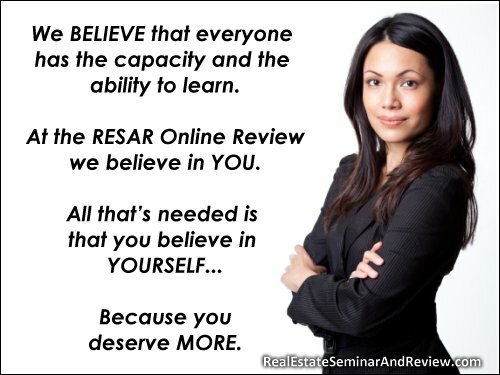 The CES Real Estate Academy offers you a General Review as the perfect refresher course for you! Spend another day with premium lecturer CESAR E. SANTOS and be confident that YOU WILL PASS THE BROKER’S EXAM! To ensure that the general review has coverage of all topics for the upcoming examination, it would be great if RESAR considers the table of specifications (TOS) published by PRB-RES. The topics on the review must be equally distributed on the topics defined in TOS. [From the Admin] We will forward your comment to the people in charge of the CES Real Estate Academy, so that they make take the TOS in consideration during the upcoming General Review. Thanks! A blessful day ! I haven’t receive yet the contact info of the CES Real Estate Academy,please help.More power to your program. [From the Admin] Hello! We have forwarded your inquiry to the CES Real Estate Academy. Thanks! [From the Admin] Hello! We will forward your email to the CES Real Estate Academy. Thanks! A blessful morning ! I had taken the CRESAR dated Nov 10,2001 at Chateau 1771 Restaurant ADB Cor,J,Vargas Ave,Ortigas,Pasig City in collaboration with REBAP-Pasig Chapter,conducted by Atty,Ernesto V.Villagarcia of Institute on Real Estate Studies of the Phil,Mr Cesar Santos and Mr Johnny B.Dayag which is more than enough to be equivalent to 120 units as the topics they posted online to be discussed is just the same with what we had taken.I went to PRC to fill up the application form and then finally to submit the necessary documents,but there had been only one problem,my Certificate in Real Estate issued to me before,as they are looking for the units I earned,and they advised me to contact any of these three persons and to give me an acknowledgment that it was equivalent to 120 units.Can you please give me the cellphone number of Mr Cesar Santos so he can give me advise so i can cope up with the submission of documents as this is the only lacking ,and im running out of time,please help me.Thanks for your non stop support to RESAR members.May you be blessed by GOD a hundredfold!!! [From the Admin] Hello! At the moment, the general reviews that we’ve heard about are in Metro Manila… Thanks! [From the Admin] At the moment, there’s no other sked. There might be another mock exam offering, depending on the number of people who attend the March 19 General Review. Thanks! Is this general review on March 19, 2011 open to all aspiring broker?Even if we are not reviewee under Cesar Santos Review Center?Thanks for the info. [From the Admin] Yes, the invitation is open to everyone. Please take note, though, that there are limited seats, so please reserve early. Thanks! hi there! i have not attended any review at all. I understand that certificates are required in order for me to take the exam. will this seminar’s certificate be honored? are the reviewers enough to cover what I missed? [From the Admin] Hello! The General Review is not a replacement or substitute of the 120-hour Comprehensive Real Estate Seminar and Review (CRESAR). May I ask if I can pay the P1,200 on March 19 (Saturday)? [From the Admin] If there are available slots, that might be possible. But please keep in mind that others will be reserving their slots in advance. Please get in touch with the Cesar Santos Real Estate Academy to find out if there are available slots for March 19 walk-ins. Thanks!